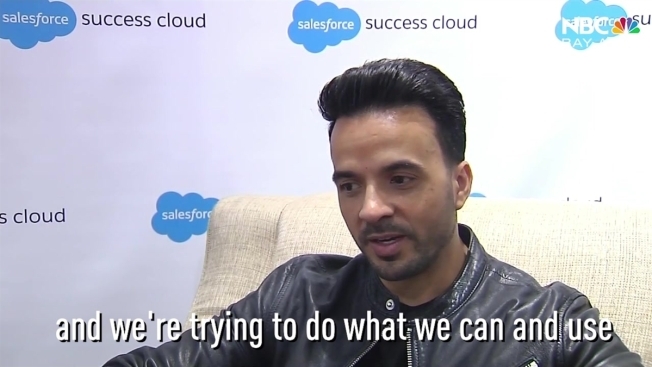 Latin Grammy award-winning artist, Luis Fonsi, best known for his summer hit, 'Despacito,' joined Dreamforce Wednesday morning not just to perform but to help raise $1M for Puerto Rico. "It's one of the many reasons why I'm here," said Fonsi. "Hopefully we can reach the million dollar mark that the Salesforce team is raising money to do this." The singer-songwriter is a Puerto Rico native with family currently living on the island. Fonsi is also the official ambassador for tourism of Puerto Rico and is hoping to use as many platforms to help raise funds for relief. "There's a lot of money that needs to be raised and we're trying to do that to give back to that beautiful community which gave me everything," said Fonsi.